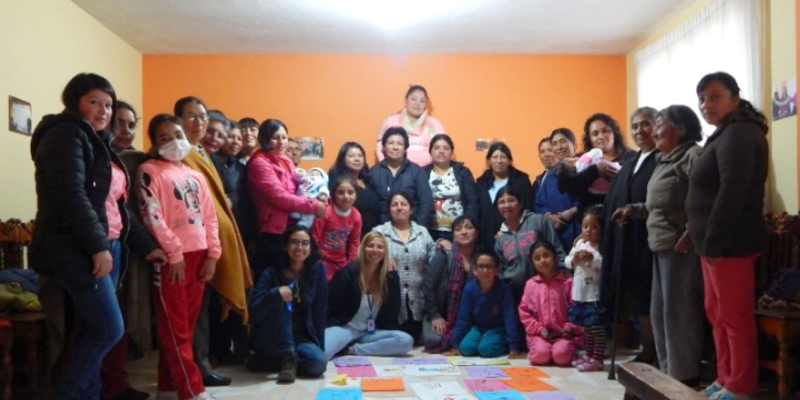 In order to share the tireless work of those that accompany, serve, and defend the forcibly displaced or those seeking refuge, women-led peace initiatives supported by local country offices of the Jesuit Refugee Service in the Latin America and Caribbean region have been identified and organized. In Colombia, on the border with Ecuador, work has been undertaken with the “Nuevo Futuro” Women’s Association in the border town of Cuaspud. This group was formed in 2014 and has the participation of 33 indigenous women who have been victims of the enforced displacement of various neighborhoods of the town, such as San Francisco, Macas, Yapurquer, Cruz Grande and El Pirio. This association arose within the framework of the peace negotiations between the FARC-EP guerrillas and the national government, in order to undertake actions with local impact for the defense of their rights as victims and women. “It’s an association where the women wished to do something for themselves and they wanted, firstly because they felt themselves to be victims, to do something to help themselves and to provide themselves with support. The result of this was the decision to set up this association and to collaborate together”, says Carlos Estrella, coordinator of the Nariño team. This process, led by the women of the Nuevo Futuro Association, has been backed by the JRS Colombia team in Nariño through the areas of Local Integration and Prevention, which have generated spaces for the strengthening of capacities and local impact, as well as processes of reconciliation, memory and the culture of peace. During this time, it has become evident that among the main achievements reached with this peace initiative are the exercises of memory which have been built with these women, through self-recognition and recognition of women as beings. This has allowed them to weave their own support networks in order to engage in processes of healing with relation to their life histories within the framework of the Colombian armed conflict. In the association I feel very proud because I can help the other women, I feel proud to be useful because before I only concerned myself with my own home, and now that's not the case. I see in them that each one of us women needs help, where we can share ideas and we feel happier as we talk and converse with the other women. Likewise, Natalia Peláez, a psychology practitioner from the Nariño team states that “as JRS, our great goal with this group of women is that they may put the social fabric back together again, that they take part in public spaces, that they tell each other their memories, which have lately been the memories of the territory where they live, and, therefore, that they reconnect with their ancestral knowledge, since they are indigenous women, and as a consequence of the armed conflict, their identity has been transformed”. 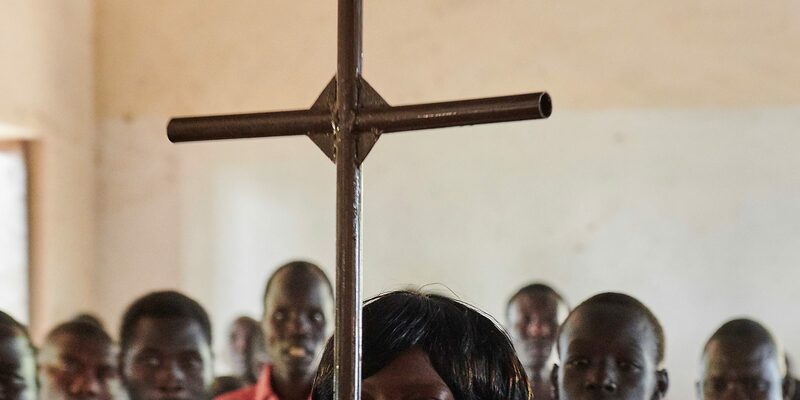 Finally, attention is drawn to the need for the Jesuit Refugee Service to carry on supporting women-led community processes, since they are the main axis for the peaceful transformation of the dynamics of violence in the contexts where they live, in the same way that they are the builders of the social fabric from their family nucleus to their community environment.